There is still work to be done even in the cities that are most advanced in climate adaptation efforts. In 2006, pioneering cities such as London (United Kingdom) and Durban (South Africa) started integrating climate change in their policies and plans in order to prepare infrastructures, communities, ecosystems and institutions for its most likely impacts. Since then, many cities large and small around the globe have followed their example. Important global and regional city networks to promote action on climate change have been created (C40) and global commitments, such as the Global Covenant of Mayors, have been signed. From megacities to small towns, those taking action all have their say. And for this reason, cities have an increasing role in the international negotiations. This was demonstrated after the Paris Agreement in 2015, when there was no question on the significant contribution of non-state actors in fighting against climate change. So far, meaningful studies have attempted to track the progress made to date on urban adaptation. A large-scale study of 885 European cities found that only 47% have adaptation plans in place, be they focused on adaptation (26%) or a combination of adaptation and mitigation (reduction of greenhouse gas emissions). A December 2016 study using a database of 401 global cities with more than 1 million inhabitants found that only 18% report adaptation initiatives. Other country-specific studies have been developed in Canada, the United States, Spain, Italy and the United Kingdom. Most of these studies share a significant bias on developed countries and the focus has been made on the existence of policies to assert the progress made on adaptation. While such progress is good, how do we know if these plans will effectively reduce future risks? One first needs to consider whether those plans are politically and economically credible – whether they are based on sound scientific knowledge and whether city agents and civil society will support the planned activities and projects. To help answer these question, we developed and tested a new approach in four pioneering cities (Durban, Quito, Copenhagen and Vancouver). In the study we develop metrics to assess adaptation policies’ credibility by finding out whether they’re financially secured, if the right climatic assessments have been developed and whether citizens’ opinions have been taken into consideration. The legitimacy of adaptation policies is crucial. Every public action needs to be transparent and every policy needs to be built on a participatory process. Adaptation efforts must also protect those more exposed to climate change impacts. At the same time, adaptation measures may benefit some communities and not others; losers and winners of climate change adaptation need to be considered. Our conclusions? There is still work to be done even in the cities that are most advanced in climate adaptation efforts, particularly regarding the establishment of legitimate processes with stakeholders and communities, the establishment of adequate monitoring systems, the definition of a sustainable budget for implementation and finally, the consideration of risks and uncertainty that climate change inherently brings. In this line, a January 2017 study calculated the future probability and associated economic damages of climatic impacts linked to sea-level rise through the 21st century in 120 large coastal cities all over the world. It was found that uncertainty has a critical role in decision-making: there might be events with a potential for high economic damage yet a very low probability of occurring; there are also lower-impact events that have a much higher probability. We tend to plan for the high-probability, low-impact events and disregard those that have lower probability but a greater potential for damage. If we look at the 5% of the worst cases, this may have important implications for cities as the consequences may be catastrophic from an economic, social or environmental perspective. An important example is Hurricane Sandy, which struck New York City in 2012. Afterward, the city prepared the “Stronger, More Resilient New York” plan, released in 2013. This work also identified the need to define the level of risk that cities would be willing to accept. As with any other type of risk, climatic risks cannot be completely eliminated with reasonable resources. What is possible and what is feasible are two different things. To take an exaggerated example, it will be always possible to build 4-meter walls to prevent a river from flooding. However, this is hardly realistic or practical from an economic, environmental or social point of view. To reduce the risk of floods in the most exposed areas in Bilbao, Spain, the city recently opened the Deusto canal. The project will reduce the magnitude of the impacts from increasing rainfalls and high tides, but cannot eliminate them completely. Do current city adaptation plans consider climatic risks in these terms? How much risk are cities planning for? To answer such questions, our ongoing research project, “Are cities preparing for climate change?”, tracks urban adaptation efforts in 136 coastal cities. First, we have been documenting adaptation-related policies in these 136 cities that have an impact on coastal management. Here it is is essential to take into account not only local policies, but also but regional and national ones. We will assess which policies are likely to be implemented and sustained in the long term (credibility) and later, we will evaluate if the planned measures have the capability to reduce future risks. 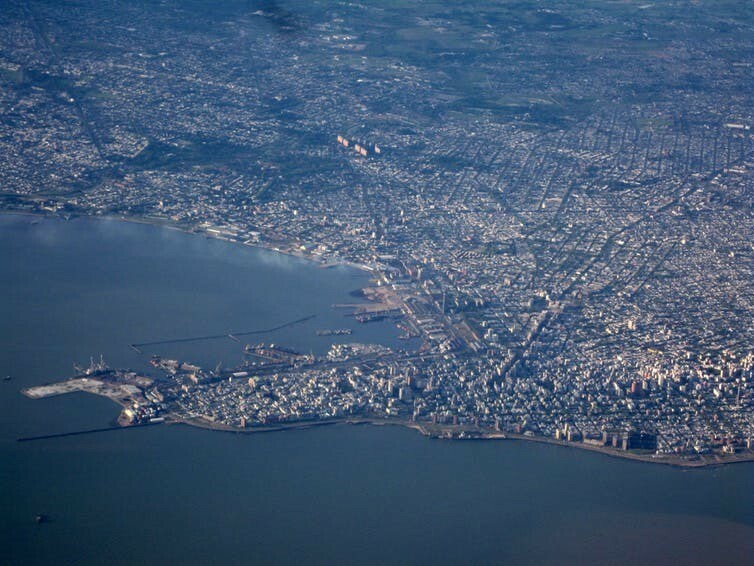 For example, in Montevideo (Uruguay) we analysed national and metropolitan adaptation policies. We are now particularly looking at the Plan Climático de la Región Metropolitana de Uruguay (metropolitan plan) and assessing whether it is credible and how coastal measures have been defined to address their specific future risks. Protecting biodiversity and coastal ecosystems and controlling urbanisation in areas that tend to erode, as Montevideo does, is a good indicator of future adaptability to extreme events. While our final results of our tracking study may only come in 2020, we hope that it will serve as an example in sectors other than urban coastal adaptation. We also hope that it will be used by the cities themselves to improve their climate planning skills and adjust their strategies according to the climate change risks they may face in a future that it is closer every day.